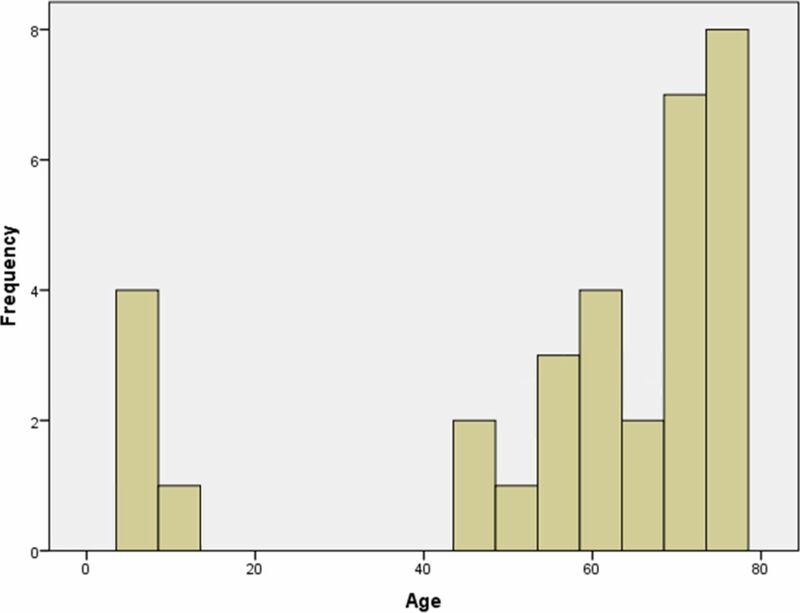 Magnetic resonance imaging study (sagittal fat suppression T2 weighted on the left) showed multiple vertebral fractures in an 8-year-old patient; PET-CT was negative (on the right). 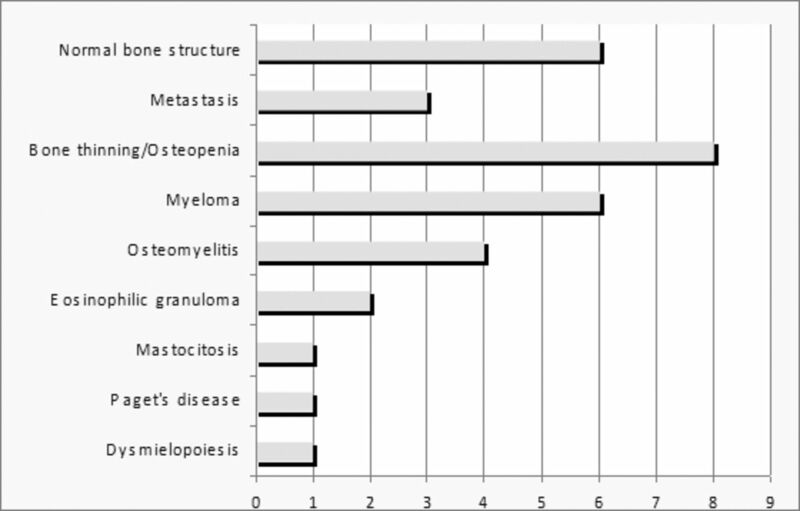 Biopsy has been performed on 2 different vertebral bodies without any diagnosis (normal bone structure). 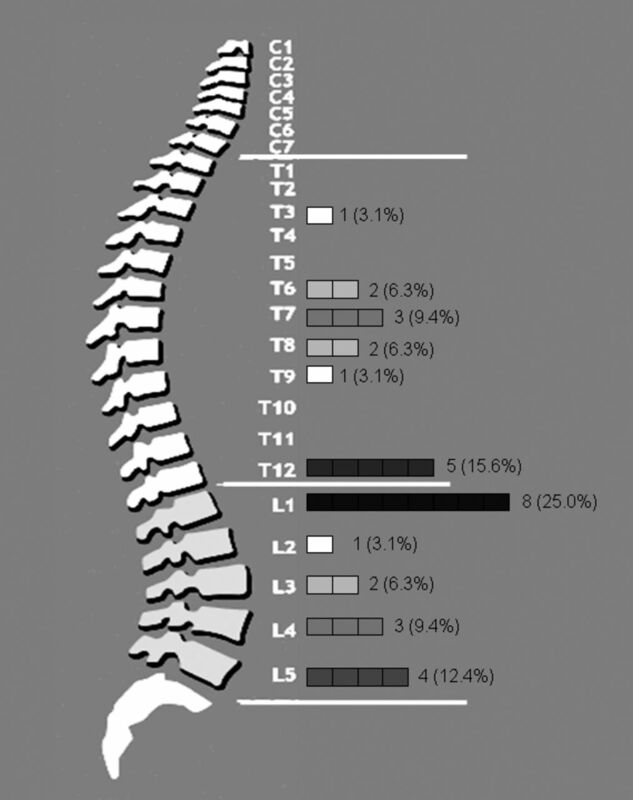 Computed tomography-guided vertebral biopsy level (not considering procedure's repetitions). 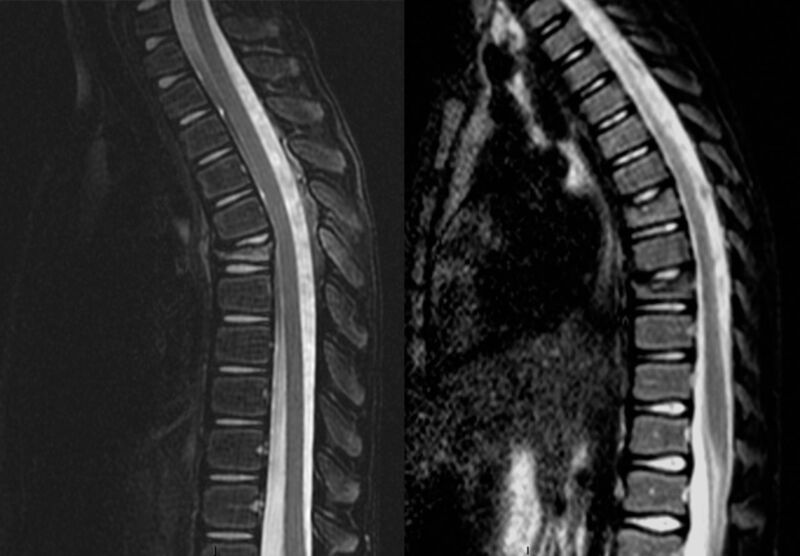 Magnetic resonance imaging studies (sagittal fat suppression T2 weighted) showed fracture of T6 in a 6-year-old patient (on the left) and fracture of T9 and T11 in an 8-year-old patient (on the right) with similar radiologic patterns but different anatomopathological results: osteomyelitis (on the left) and eosinophilic granuloma (on the right). 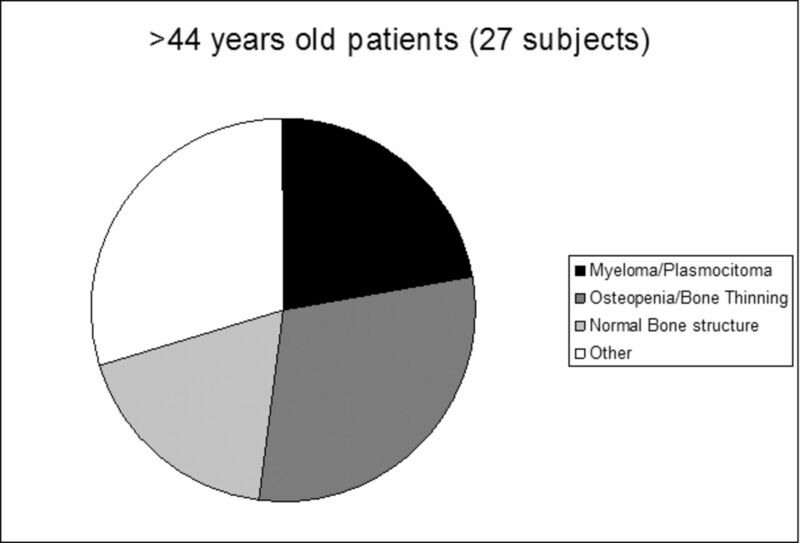 Anatomopathological diagnosis in patients 44 years old or older (range 44–78 years). 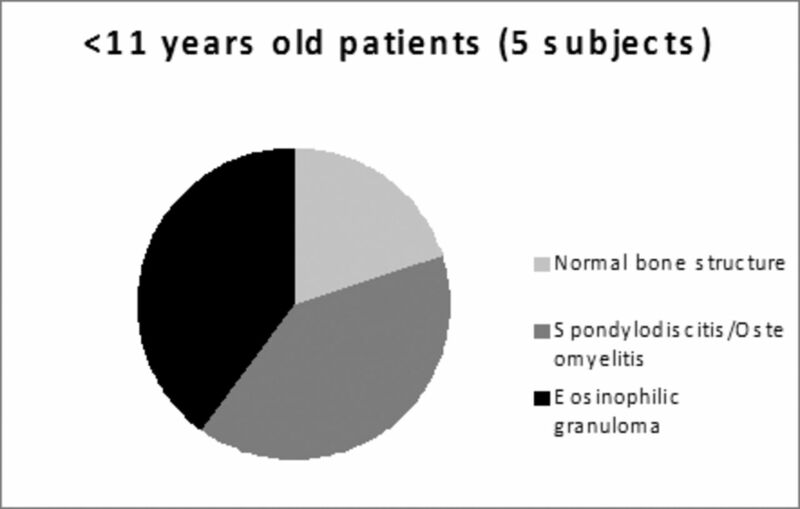 Anatomopathological diagnosis in patients 10 years old or younger (range 6–10 years). 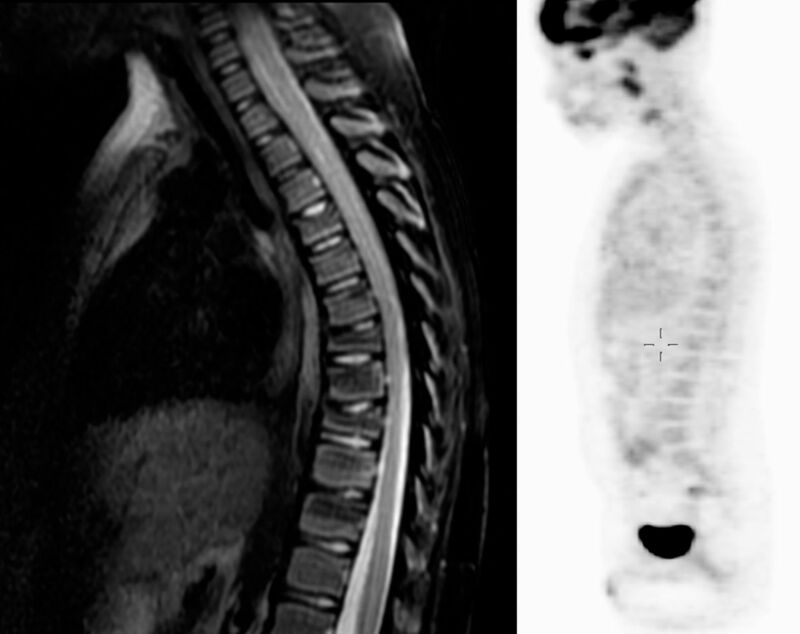 Magnetic resonance imaging showed recent L1 fracture with strong bone edema (short tau inversion recovery sagittal sequence; on the right) and fluid in paravertebral space (arrows), without focal lesions detectable. Computed tomography confirmed the fracture (upper left). 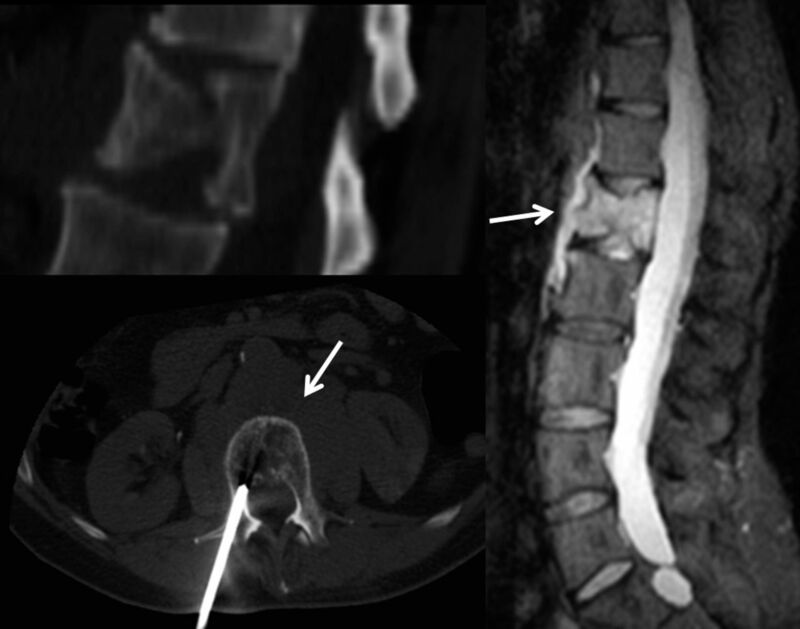 Computed tomography-guided vertebral biopsy, performed on L1 (down left), revealed multiple myeloma.